With the 2018 season slowly getting started, here’s a list of trends, themes and athletes to look for in Ironman-distance racing. This is not intended to be a comprehensive list, and there isn’t enough space to highlight every “interesting athlete to watch this year”, so apologies in advance to everyone who isn’t mentioned! Every year, there are a number of athletes with great success on shorter distance who give racing on the Ironman-distance a try. While there isn’t a guarantee that their racing prowess transfers to the longer distance, the talent that is evident usually makes them very interesting when they line up in their first Ironman race. For 2018, Emma Pallant (second in 70.3 Championships) and Laura Philipp (third in 70.3 Championships) have announced that they will race an Ironman. Emma is registered for IM South Africa, Laura plans to race IM Germany where she’ll be joined by Anne Haug who has just stepped up to the 70.3 distance in 2017(winning 70.3 Dubai). On the male side, there is a huge anticipation of Javier Gomez to race Ironman. (I’m not aware of a firm plan for his first Ironman, but I’m guessing he’ll race one of the Regional Championships in Cairns or Frankfurt. Update March 26th: Spanish media report that Javier will race IM Cairns.) There’s been a lot of talk about the Brownlee brothers stepping up to Ironman racing as well, but for now they seem to be focused on short-course and 70.3 racing rather than Ironman. All of the athletes mentioned above have scored well in 70.3 races so that just one solid Ironman race will be enough for them to be on the Kona start line – adding even more excitement to the highlight of 2018 Ironman-distance racing. 2016 and 2017 have seen a large number of “triathlon babies” – a lot of high-profile female athletes have taken a break from triathlon to have a baby and then return to long-distance racing. In 2017 we’ve had two “Super Moms” in the Kona Top 10 (Liz Lyles and Jocelyn McCauley), two more in the Kona field that had a baby in 2016 (Rachel Joyce and Sonja Tajsich), and one more “new mom” who won an Ironman but missed Kona qualifying (Eva Wutti). 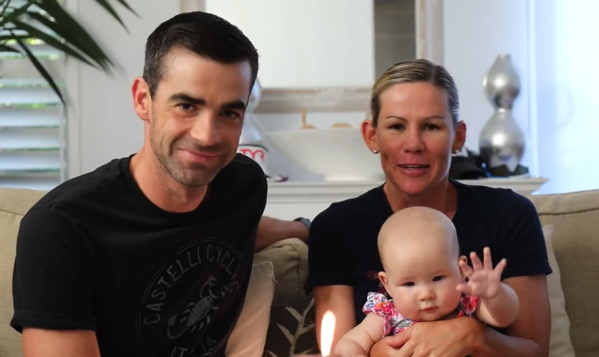 For the 2018 season there are even more Super Moms returning to racing: Three-time Kona champion Mirinda Carfrae gave birth to daughter Isabelle before Kona 2017, she is already back to training and as a prior Kona champion only needs a validation finish to secure her place on the Kona start line. She has just announced that she will be racing IM Cairns in June. Photo: Mirinda with husband Tim O’Donnell and daughter “Izzy”. Credit: Welcome to the Tim and Rinny Show! on YouTube. Last year we’ve seen a new “Ironman bike record” when Andy Starykowicz posted a 4:01 bike split at IM Texas. That race was Andy’s return from a horrible bike accident when he was run over by a truck, and he wasn’t sure how well he’d be able to run so he was clearly focused on a good bike split. (His run split was just 3 minutes faster than his bike and is currently the slowest run split for a sub-9 finish overall.) In October, he was more balanced and won IM Louisville with a 4:08 bike and 3:07 run. Another super-biker is Cam Wurf who set a new bike course record at IM Hawaii and who was also able to win Ironman Wales with a solid run. I think that both Andy and Cam (and maybe a few others) would be able to post a sub-4 bike leg if that was their main goal in a race, but their focus is probably more on improving their run and on being competitive for the wins in strong, deep fields. But maybe they think that their best chance to win a race is to get a huge advantage on the bike? In addition, there are almost always athletes that maybe aren’t fully competitive in all legs who opt to go for the glory of a fast bike split. Overall, I’m pretty sure that we’ll see a sub-4 bike in the next few years, but I’m not sure it’ll happen this season quite yet. Avoiding or managing injuries plays a big role in long-distance racing. Mel Hauschildt is one of the athletes that’s been forced to deal with injuries on a regular basis. In 2017 she wasn’t able to race before late August, but then was able to finish the ITU Long Distances Worlds, 70.3 Championships and Kona and ended the year by with two wins at 70.3 Western Sydney and IM Western Australia. It would be great to see what she’s able to do when she has two consecutive build periods without having to take a long break for an injury. After winning IM Texas in 2015, Angela Naeth hasn’t been able to complete another Ironman race because of a long string of injuries. Towards the end of 2017 she has returned to 70.3 racing and plans to race an Ironman this spring. (She’s on the entry lists for both IM South Africa and IM Texas.) 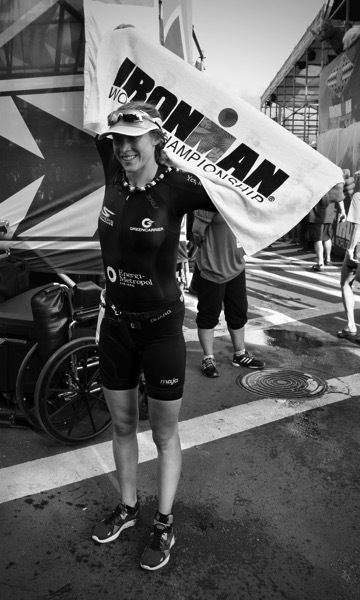 Angela and her bike strength can hugely impact the race dynamics in any Ironman race she enters. 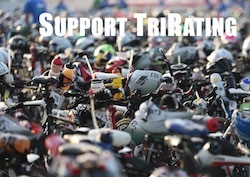 It’s always unfortunate when athletes qualify for Kona but then are not able to race because of an injury. Last year Tine Holst, Andy Boecherer, Carlos Lopez and Will Clarke had to cancel their Kona start, but are already planning their 2018 season for a return to Kona. Two more athletes made it to Kona with plans to race and had accidents on the Big Island. Tim Don fractured a vertebra just three days before the race and was forced to wear a horribly uncomfortable halo for a few weeks, but by now he’s back to some light training. Matt Russell was hit by a car while in the race and was in critical condition for a couple of days when he lost a lot of blood. While he still sheds the occasional piece of glass, he seems to have been able to make a quick recovery and is on the entry list for IM Texas. The German men have been dominating in Kona – they have won four titles in a row from 2014 to 2017! But their depth of strong males is almost as impressive, and it seems that even when one athlete runs into problems that there are others ready to step up, such as when Frodo was struggling and Sebi couldn’t quite take the lead on the run, Patrick blasted out another sub-2:40 run to win the race. Also, some new names show up on the Kona radar every year. Two athletes you should follow across this season are Andi Dreitz and Maurice Clavel. Both have stepped up to IM racing in 2017, Andy won IM Italy and Maurice was third at Challenge Roth. Both are targeting Kona for 2018 and are in a good position to qualify with one more solid result: Andi already has 3.435 points and should be able to snag a slot with one more good 70.3 finish, while Maurice with 2.205 points is racing IM South Africa to get the points he needs for a Kona slot. While the German women were not quite as successful as the men, they have also been able to snag a number of Kona Top10 finishes and Ironman wins in previous years. In 2017, Mareen Hufe was the best German female in Kona, finishing just outside the Top10. With some new faces (such as Laura Philipp mentioned above) the pressure for the established German women will only increase, and I wouldn’t be surprised to see two German ladies in the Kona 2018 Top10. For quite some time the “Big Three” US male athletes have been Ben Hoffman, Tim O’Donnell and Andy Potts. 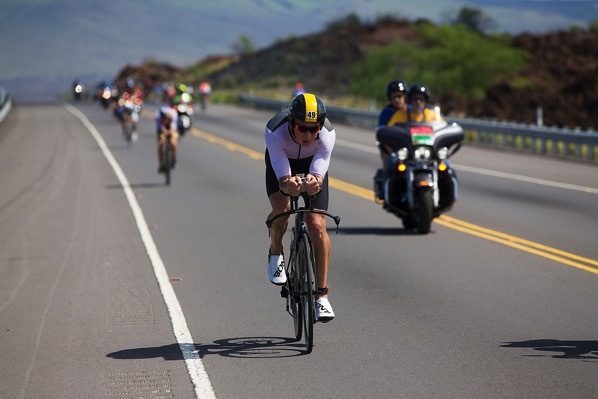 They’ve traded the title of “Best American Kona Finisher”, but late in the race none of them have really been in contention for more than a podium spot. While the US always has a number of good athletes racing the Ironman distance, so far none of them have been able to crack the Top 10 in Kona. (Fun fact: Other than Ben, Tim or Andy, Chris Lieto was the last one to finish in the Top 10 in 2009.) When looking for “new faces” among the US male athletes that haven’t raced Kona before, the only name I could come up with is Kevin Collington. He’s been getting faster under the guidance of Matt Dixon and is now an Ironman winner in a hot and humid race (IM Taiwan 2017). With Ben Kanute there was an American on the podium of the 70.3 Championships, but for now he is still focused on the shorter distances. So “The Big American Hope to Win Kona” might actually be a woman. There’s a large number of athletes that have already had success in Kona such as Heather Jackson (3rd in 2016, 4th in 2017), Sarah Piampiano (7th in 2015 and 2016 but DNF in 2017) or 10-time Kona veteran Linsey Corbin. In 2017 there were three US women in the Top 10: Heather, Liz Lyles – since retired – and Jocelyn McCauley, at 29 years among the younger female Pros. Lauren Brandon had a strong impact on the swim and bike but then didn’t have the run she was looking for. Considering how dominant Daniely Ryf has been in the last years, a Kona win is not very likely for the US women in 2018, but my money is on the best US female to finish higher than the best male. The Scandinavian countries Finland, Sweden, Denmark and (to a lesser degree) Norway have a surprisingly deep talent pool for Ironman racing. Kona 2017 had two athletes finish in the Top10 (Patrik Nilsson 8th in the men’s field and Kaisa Sali who was 5th in the female field). Look out especially for the Scandinavian ladies in 2018 racing. Asa Lundstroem, Camilla Pedersen and Michelle Vesterby have raced well in Kona before but didn’t have a good race in Kona – they will be back to show that they can do much better. In addition, there are a number of “new faces”: Maja Stage Nielsen was 12th with the best run outside the Top10, at 29 years she has just completed her first season of long-distance racing. Then there is Helle Frederiksen who stepped up to IM racing after multiple wins on the 70.3 distance. Her first Ironman in Arizona was a sub-9 finish with a new Danish record. The Scandinavian males have been on the podium before (Pauli Kiuru was second in 1993, Torbjorn Sindballe third in 2007), and I think it’s time for the first Scandinavian female on the Kona podium. The British athletes have had ten wins on the IM-distance in 2017, and they’ve been successful in Kona as well: Lucy Charles was second female, and David McNamee was third on the male side. These days it’s hard to decide if the men or women are more successful. 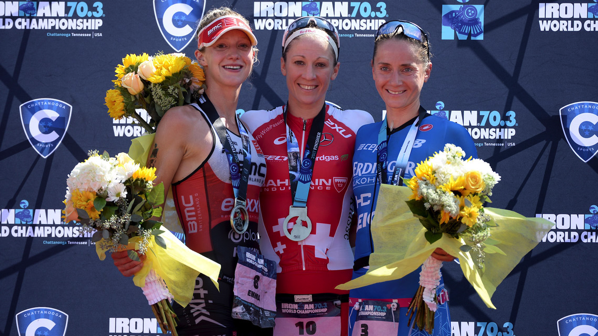 The British ladies have been successful for quite some time: Rachel Joyce, Lucy Gossage, Jodie Cunnama and Susie Cheetham have won Ironman races and finished in the Kona Top10, and there are always new athletes stepping up, such as Lucy Charles last year. For quite some time, the British men struggled to keep up, but the 2017 results have been impressive: A huge win by Tim Don at IM Brasil with a new British record of 7:40, and David McNamee was the first British athlete on the Kona podium. In addition there are Will Clarke and Joe Skipper who have posted sub-8 finished but so far haven’t been able to transfer their speed to a good finish in the more tactical race in Kona. Just a few years back, the Australian men have been dominating in Kona: Between 2007 and 2012 Chris McCormack, Craig Alexander and Pete Jacobs won the title six times in a row for the Aussies. In 2013 Luke McKenzie almost extended that series (he finished second to Frederik Van Lierde), since then each year Tim Van Berkel has been the highest Aussie finisher with just a single Top10 (7th 2014, 36th 2015, 19th 2016 and 15th 2017). In the meantime, the Aussie ladies have continued to do well, Mirinda Carfrae won three times and even when Rinny didn’t race in 2017, there have been three Australian ladies in the Top10 (Sarah Crowley, Carrie Lester and Annabel Luxford). However, things seem to be improving for the Australian men: Josh Amberger (in his first season of IM racing) was leading after the swim with a big gap, and T2-leader Cam Wurf made a huge impression when he set a new Kona bike course record. Nick Kastelein (even though he DNF’d) has also been racing well on the long-distance, winning IM Switzerland. It’s been a while that an Aussie male has been in the Kona Top10 – something that I expect to change in 2018! The last few paragraphs have focused on the “big triathlon nations”, countries that win the most Ironman races across the globe. Having looked at the fastest 2017 finishing times from the continents (Women and Men), it’s one continent that lags behind the others: Asia. However, Ironman is now owned by a Chinese company, and they are continuing to expand not only in China but in other Asian countries as well. While we haven’t yet seen a return of Ironman China (held three times between 2008 and 2010 in challenging conditions), there are now four 70.3s in China on the calendar, some even offering Kona slots. Last year, we’ve also seen the first Chinese athlete earning prize money in a 70.3 race (Jiang Zhi Hang who was sixth at 70.3 Xiamen and earned US$ 750). The number of races in other Asian countries is growing as well and it’s only a question of time until the Asian athletes are starting to close the gap to the other continents.